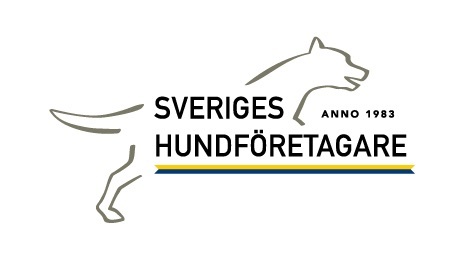 Membership system for Sveriges Hundföretagare (Swedish Dog Industry Association). The main project documentation is on the page for this project at the AgileVentures site. This is a project of AgileVentures, a non-profit organization dedicated to crowdsourced learning and project development. We're often asked: "The system is for people in Sweden. Do I have to speak Swedish?" Nope. The development takes place in English. (So you do need to speak English.) The system uses Rails' I18n and so can be displayed in either Swedish or English. You don't have to be dog owner, either. This project runs on a Ruby on Rails stack with postgreSQL as the repository. Forking the project creates a copy of the code base which you can modify without affecting the main code base. Once you are satisfied with your changes, you can make a pull request to the main repository. Fork the project by clicking the Fork button on the top-right hand corner. This will create a directory (under the directory where you are currently) called shf-project. That is the "home" directory for the app. Some of our cucumber tests use Google Chrome as the web browser (with selenium as the webdriver). For that, you'll need to download chromedriver to your local machine. Make sure you have the correct "locale" file present on your local machine - Since our user base primarily works in Swedish, we need to confirm that the database will correctly sort (collate) text in that language. In the list of locale files, look for a file that looks like this: sv_SE.UTF-8. If found, then you're fine. If not, do the next step. Execute the previous step again and confirm that the language pack has been installed. That file will not be present in the environment when you first clone it because it is not maintained in git - and thus is not pulled down from github. Contact one of the project members to get the contents of that file (for example via private message in Slack, or general message in the project's Slack channel). The rake task shf:db_recreate creates or recreates the development and test DBs, creates the application schema, loads foundation data table (e.g. list of Swedish counties) and then runs seed.db to populate the DB with data for development. Discuss any errors with the team. Point your browser to localhost:3000 and confirm that the website is running. We use Pivotal Tracker (PT) for bug and story tracking. Please contact a project team member (via Slack) to be added to our story board on PT. Please see our github wiki for articles about contributing to the project. If have any problems, please search through the issues first to see if it's already been addressed. If you do not find an existing issue, then open a new issue. Please describe the problem in detail including information about your operating system (platforms), version, etc. The more detail you can provide, the sooner we can address it.